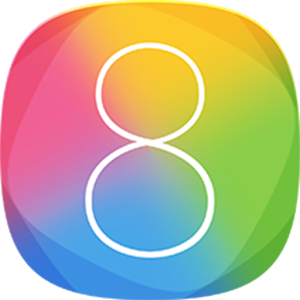 Why do you need an iOS Launcher for Android as you have enough launchers for your Android smartphone?. Let me discuss the answer right away. Android is very well known for its flexibility and customizations. You can always tweak around and make customizations to your Android device in order to make it look different. However, using the default interface and launcher from a long time can make you lose touch from your Android device. There will be definitely a time where you’d want to try out something else. Thankfully, we’ve another popular OS known as iOS, developed by Apple and can be seen only in iPhones. If you wish to switch to a different OS, then iOS would be the perfect fit you. But, the problem is not everybody can afford an iPhone due to the fact that they are way more expensive than Android. Well, you don’t really have to buy an iPhone in order to try out the iOS. There are plenty of iPhone launchers for Android available in the Google Play Store that can transform your Android device into an iOS-based device. The list of iPhone Launchers 2018 available in the Google Play Store is just huge; it’s not feasible to test out every app. Well, You don’t need to worry about that anymore; we’ve got your back. Today, in this article, we’re going to share some of the Best iOS 11/10/9 Launchers for Android. Now you will be able to have a rich iOS experience on your android device with the help of these 8 Free iPhone Launchers. So, let’s dive into the list right away. Without any second thoughts, One Launcher is the Best iPhone 8 Launcher in the whole Google Play Store. The app comes packed with iOS interface and various customization features. All you have to do is just simply download it from Google Play Store, open it up and hit the “Experience” button. The app will convert your old interface to the Latest iOS interface within a few seconds. The app icons, iOS transition effects, setting options, etc., looks pretty much as same as you would find on any iPhone. Similar apps will be grouped based on category for easy access. You just need to configure few settings in order to enjoy the iOS native gesture settings, Unread count (Text Messages, WhatsApp Messages, etc). The easy to access theme interface will attract every Android user but it has to be more friendly to the customizations. Don’t worry, you have other options as well. Moreover, One Launcher is available for free in Play Store to download. A very simple launcher that does not require any coding knowledge. Lightweight; it won’t take much space and resources of your smartphone. Un-cluttered home screen replacement made it the easy to use and handle launcher. Lots of theme options to customize the home screen. Lots of Widgets, Icon Packs, Effects available for free. iLauncher is yet another great app if you have an android device but wants to have an iPhone home screen layout. Well, some of the elements of this app aren’t as same as you’d get on an iPhone. However, with the recent update, most of the issues have been resolved. Now it’s clear enough to be called as one of the best iPhone Launchers for Android. You can set up multiple gestures using this app, apart from that, this app also lets you hide search bar, scroll speed etc. The Google Now integration is the best replacement for Siri and it will play the role of iOS Siri on your Android device. The premium version of iLauncher will unlock a lot more options and features. Moreover, you can still perform groping the icons by drag and drop. Deleting apps and reorganizing the apps is very easy; tap and hold the app and click cross mark, the app will be deleted. Easy to use Gestures; Swipe up, Swipe down to access apps on the home screen in iPhone X style. App Drawer is not needed to open up the apps on the home screen. Infinite Scrolling, Change Grids, Group Icons, Reorganize the icons, Apply differently styled skins to the default theme. Now you can experience iOS 10 on any android device with the help of iLauncher OS 10 app. You can change over your Android device to the iPhone 7 or iPhone 7 Plus. It delivers the stylish look and excellent performance on almost all the android devices, it is very much personalized to give you the best possible experience based on your usage. If you don’t like the way your Android device’s home screen or layout, then ilauncher OS 10 is something that you should try out. It will display the notifications on the lock screen in iOS 10 style. Swipe down to get the notifications, you can swipe left to “Cancel” and swiping right will help you “Read” the notification. iOS 10 styled control center is just eye-catchy yet super functional. You can adjust the brightness, turn on/off the wifi, airplane mode, screen orientation, etc. The free version comes with limited features, you can unlock all the premium version by purchasing the Pro version from Google Play Store. Notification Lockscreen; Displays the notifications on lock screen, swiping left and right on the notifications will open and close the notification as read. Notification Bar in iPhone 7 Style; Swipe down from the top of the screen to access notifications in iPhone 7s and iPhone 8s Style. The next update will get you the notification bar in iPhone X style. This one is quite similar to the iLauncher OS 10 app but packs a few extra features. 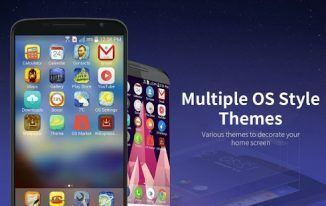 OS 10 launcher is a fast and easy to use app that transforms your android’s looks into iOS 10. The app helps in customizing home screen and layouts of your device according to your interests. 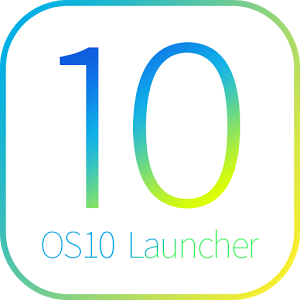 Home screen app arrangements, sliding effects, customizable app icon sizes, capricious change, etc are the major features of OS10 Launcher. In-iOS search is yet another awesome function using which you can find out any file, contact, app, etc. OS Booster will help your device run faster and smother by clearing all the cache. Apart from that, you can Hide Apps so that only you can access them whenever you want. This app very well serves the need of having the looks of an iOS device. OS 10 Launcher can be downloaded from Google Play Store for free of cost. Quick Touch; fast, time-saving, and easy to use interface. In OS Search; it will help you search for files, folders, images, contacts with ease. OS Booster; speed up the device performance. OS Market; All famous apps and games that are supported by your smartphone. As you can see, the name of this app is lengthy. Well, the list of features is lengthy as well just like its name. 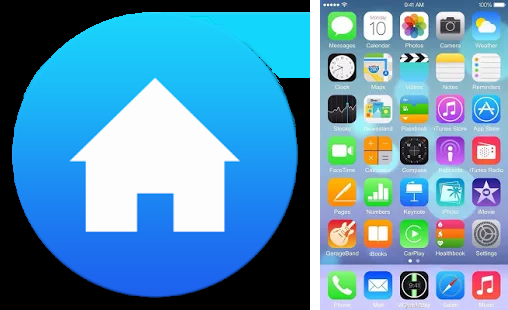 Launcher For Phone 7 is another popular and widely used iPhone launcher on android devices. The first thing the app does is get you an iOS themed home screen for your Android device. Features like Quick Touch (Fast selection), Sliding Effects, Animated iOS Icons, etc., are very useful in timing saving. OS Market is the heterogeneous app market for your Android device in iOS style with all popular games and apps. It’s simple and easy to understand, the app is available for free in Google Play Store. Huge collection of skins available to apply to your mobile device. Responsive, Fast and Smooth (Lightweight). OS Search, OS Booster, OS Market are the readily accessible features. Frequent updates will make it up to date, free from malware attacks, etc. If you are in search of the best and free iOS 11 Launchers for Android phone, you can try it out. If you like to have a control panel of an iPhone on your Android device then iNoty 11 is the app that you should download. iNoty 11 helps you in setting up a control panel that just looks exactly like of an iOS device. You can pretty much control everything from it. The app will provide Apple-themed settings, iPhone Notifier, smart control panel from iPhone etc. It will allow you customize the color of the status bar from the default blue color (while using Google Maps, when Personal Hotspot is On). You can also customize the Charging Battery Icon and Time Display Style to iOS 11. Apart from them, iNoty 11 has In-iOS Search, OS Booster, Hide App, iOS 11 Control Center, etc. With all such amazing features together, we can conclude that it’s definitely one of the best iPhone Launchers for Android device as of now in the whole Google Play Store. Smart Toggles (iOS Style) for Airplane Mode, Wifi, Vibration Mode, etc. Swipe Up and Swipe Down to access to the Notification bar, Control Center. Battery percentage and network status are displayed in iOS 11 style. OS Booster, In-iOS Search, Hide App, iOS 11 control Center. Control Centre iOS 11 is quite similar to the iNoty 11 app. 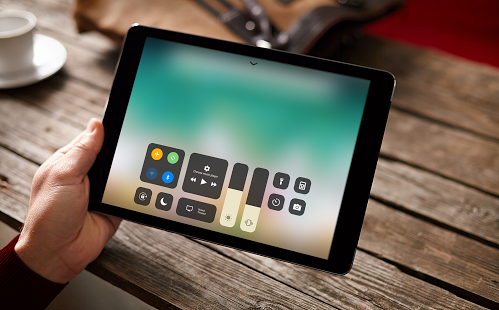 It provides you a iOS 11 control center with looks of an iPhone device. It doesn’t make any internal changes to your settings, all it does is just provides the look of iPhone’s control panel. Apart from that, you can also customize it with colors, size, and positions etc. Since it’s a free app, we can’t really expect much but it’s worth trying. So Go ahead and give it a shot, it is a trustworthy app and absolutely safe to use. Customising the icons on the Control Panel is super simple, Go to Settings >> Control Center and Add the Icons from the list you see there. If you have added a bunch of icons to control center and not able to access them, Swipe up and Keep pressing on the screen to display all the Icons and Options from the Control Center. Fully loaded control center; Wifi On/Off toggle, Wifi, Bluetooth, Do Not Disturb, Portrait Orientation Lock, Adjust Brightness, Flashlight, Camera, Alarm Clock, etc. Package of preloaded wallpapers, home screen backgrounds, etc. Swipe Up and Swipe Down to access notification bar, control center. If you are fed up with your Android’s default lock screen, then this one is a perfect choice for you. 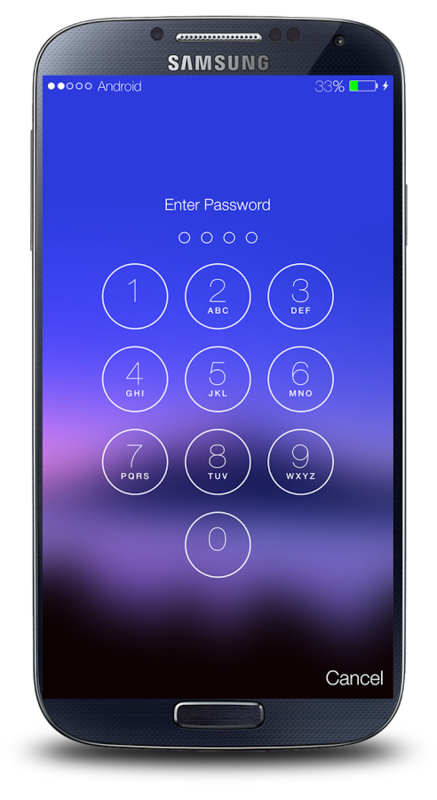 Password Screen Lock app provides you the lock screen of an iOS-based device. You can download it on any android device to get a lock screen that looks like an iPhone. 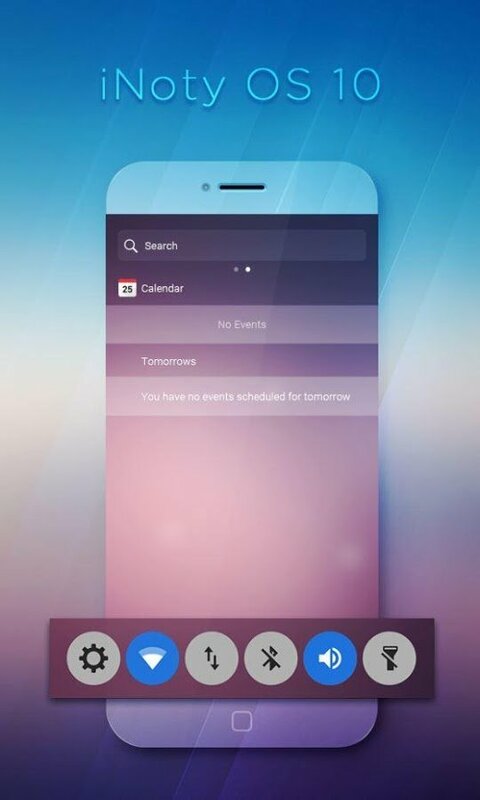 This isn’t really an iPhone Launcher for Android, but it’s more like a part of iOS Launcher. 4 Digit Password or 6 Digit Passcode are the two default options you may opt-in. You can also go for the customized Passcode in which you can set a mixture of Numerics and Alphabets. So, it wouldn’t fair if we don’t mention it, Password Screen Lock is quite simple and lightweight for android devices. 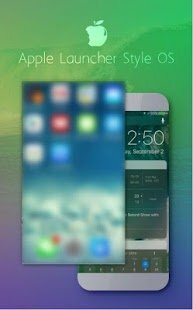 So, that’s the list and it’s for you to choose the Best iPhone Launcher that suits your requirement. In fact, iOS Emulators will help you install iOS apps and games on your Android device. In this way, you can fool your friends that you have really got iOS on your Android smartphone. iOS keyboard with emojis, iOS 11 animojis to send in chat conversations. Displays Mobile Signals, Mobile Network status, Battery Percentage. Hurry up, try out the iOS 11 or iOS 10 look on your Android smartphone or tablet. Make sure you are clear that these launchers are just limited to look and feel. Don’t expect much from them as they are just designed to change the appearance of your Android to an iPhone or iPad. I hope you have found some interesting iOS Launchers in this article, please don’t forget to mention your favorite launcher in the comments below. Show your love by sharing this article with your friends, thank you.